Collection is sometimes a race: the priority of liens, or who reaches an account or tangible assets first, can make the difference between collecting a debt and being left out. Even when the debtor is solvent, placing pressure on the debtor is what it’s all about. Debtors stall, and litigation can take a year or longer from the filing of the complaint. Given that the debt may already be several years old at that point, there can be a legitimate concern that the debtor will liquidate assets, or that no assets will remain by the time judgment is obtained. What is a Pre-Judgment Writ of Attachment? These concerns can be addressed by an attachment order. Provided the Plaintiff can meet certain requirements, and is willing to post a bond, the court will issue an order authorizing the sheriff to take custody of the defendant’s property and keep the property until the case is decided. That’s right: before judgment is entered, the sheriff can take possession of the defendant’s property, including inventory or tools of trade. Imagine the pressure to pay placed on a business by such an order. In Which Cases Can A Writ Be Issued? A writ of attachment can only issue in commercial cases. It cannot be issued against an individual for a debt incurred for personal, family, or household use. A writ also cannot be issued in a foreclosure action. In a vast majority of collection cases, where the debt is business-related and unsecured, a writ of attachment can be a powerful tool. What Property Can be Attached? The power of the court to issue a writ of attachment is intentionally broad. Generally, any property subject to levy after judgment can be attached by a writ. This would include bank accounts, equipment, inventory, or real property. Depending on the type of property involved, the sheriff will either take the item into its possession, or take the certificate of title or other proof of ownership, thereby limiting the debtor’s ability to transfer or otherwise dispose of the property. California Code of Civil Procedure Section 484.090 states the items the court must determine at the hearing on the writ: whether the case is one upon which a writ can be issued, and, most importantly, the court must decide whether the plaintiff has established the “probable validity” of the claim. The plaintiff can meet this burden by filing affidavits under penalty of perjury stating with particularity the facts supporting the claim. In the usual collection case based on open book account, the invoices, statement, and other documents, such as the credit application, can be incorporated into the affidavit by attaching them. Generally, these should be sufficient to convince the court of the probable validity of the claim. Generally, the plaintiff must give the defendant the usual notice required for motions. This is usually done by mailing the documents to the defendant at least 15 court days prior to the hearing, plus 5 calendar days for mailing. However, the writ may be obtained ex parte, that is, without notice to the defendant, if the plaintiff can prove that there is danger of the property being liquidated before a hearing can be held. In cases with fungible or easily liquidated property, such as jewelry or cash accounts, the ex parte procedure should usually be attempted before noticing the motion. California Code of Civil Procedure Section 489.210 requires the posting of a bond before a writ of attachment can be issued in any case. Further, Section 489.220 requires that the undertaking be, at a minimum, $10,000. While this seems like a severe restriction at first, it should be remembered that bond companies are readily available to post such an undertaking on behalf of the plaintiff for a small fee. Usually the fee is roughly two percent of the bond, or, in the minimum case, $200. Assuming the claim is legitimate, and the debtor does not have a claim against the bond for wrongful attachment, the bond company will have the funds returned when the property is disposed of by judgment or settlement. However, should the case proceed to trial and the debtor prevails, the debtor will have a claim against the bond for any damages it suffered as a result of the attachment. The bond company, in turn, would pursue the plaintiff for indemnity. In a commercial collection action that goes to litigation, the time from the default on the debt to judgment can be years. 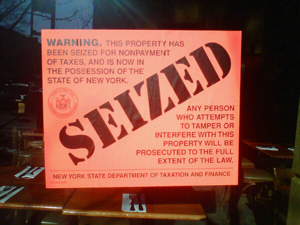 This can allow the debtor to liquidate valuable assets, or simply go out of business. If the plaintiff has a strong case, and is willing to pay a small fee to post an undertaking, a prejudgment writ of attachment can be a powerful tool.